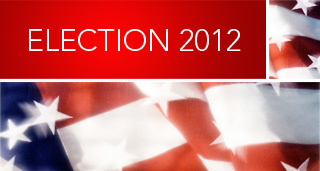 The Daily Transcript follows the 2012 general election from a local, state and national perspective. Contact us at contact@sddt.com to get more involved. Hundreds gathered Monday at the San Diego County Operations Center, leaving standing room only in the meeting hall chambers and a line well out the door, to witness the swearing in of three county legislators. Councilmember Todd Gloria was elected president of the San Diego City Council on Monday with the unanimous support of his colleagues. Mayor Bob Filner, members of San Diego’s City Council and City Attorney Jan Goldsmith officially took over the reins on Monday at an inauguration ceremony in Balboa Park. The recently elected public officials stepped into their roles after taking an oath of office in front of a few hundred attendees, including dignitaries from across the state and neighboring Mexico. In his final press conference as San Diego's mayor, Jerry Sanders said Wednesday he would like to be remembered for helping end the city's financial troubles. Democrat Scott Peters can now call himself the Congressman –elect of California’s 52nd Congressional District. Steve Danon has conceded in the race against Dave Roberts for the District 3 seat on the San Diego County Board of Supervisors. Scott Peters added more to his lead Wednesday in the race for the 52nd Congressional District seat against incumbent Brian Bilbray, as reported by another round of absentee ballot counts from the San Diego County Registrar of Voters. The same goes for Dave Roberts and his lead in his contest against Steve Danon for the District 3 Board of Supervisors slot. Dave Roberts held a lead of 2,688 votes over Steve Danon in their bid for the District 3 Board of Supervisors seat, while in the 52nd Congressional District Scott Peters is also expanding his lead over incumbent Brian Bilbray by 2,660 votes. Scott Peters extended his lead over Brian Bilbray in the race for the 52nd Congressional District, according to results released by the San Diego County Registrar of Voters Monday. Democrat Scott Peters padded his advantage over Brian Bilbray by 520 votes and now leads the incumbent Republican Congressman by 1,334 votes after the latest results were released Friday. Dave Roberts has expanded his lead slightly over Steve Danon in the District 3 Board of Supervisors race after the release of a second round of late absentee and provisional ballot counts. Mayor Jerry Sanders announced Thursday he will be the new CEO of the San Diego Regional Chamber of Commerce. Democrat Scott Peters added slightly to his slim lead over incumbent Republican Rep. Brian Bilbray in the race for California's newly created 52nd Congressional District after the latest results were released Thursday. Rep. Bob Filner has become San Diego’s first Democratic mayor in 20 years. Democratic Port Commissioner Scott Peters holds a narrow lead over incumbent Republican Rep. Brian Bilbray in the race for California’s newly created 52nd District Congressional seat. Councilman Carl DeMaio has conceded defeat in his bid to become mayor of San Diego after a tight contest against Democratic Rep. Bob Filner. DeMaio acknowledged defeat Wednesday as results showed Filner solidifying his lead of 51 percent to 49 percent. Veteran prosecutor Robert Amador secured a spot on the San Diego Superior Court bench with an easy victory in Tuesday's general election. Five of the 11 school construction bond measures to improve campuses have been passed by San Diego County voters in Tuesday’s General Election, though none of the three measures in North County were among them, as of Wednesday morning. Councilwoman Sherri Lightner won her bid to retain her seat in San Diego’s first district, ensuring Democrats retain their council majority. Rep. Bob Filner is poised to become San Diego’s first Democratic mayor in two decades, though remaining absentee and provisional ballots give his Republican opponent, Councilman Carl DeMaio, reason to keep hope alive. As results come in, North County voters are thus far not supporting three school bond propositions enough to ensure their passage. A few hundred San Diegans gathered in Golden Hall Tuesday night to watch as results from national, state and local elections rolled in on three projection screens with real time vote tallies. Outcomes on everything from California’s state propositions to school board races to the highly contested mayoral and presidential elections were shown. San Diego County deputy district attorney Robert Amador continued to hold a big lead over El Cajon trial attorney Jim Miller Tuesday night in the race for a San Diego Superior Court judgeship. Republican Congressman Brian Bilbray held a slim lead over Democratic Port Commissioner Scott Peters in the race for the California’s newly created 52nd District Congressional seat Tuesday night. The largest school construction bond measure facing voters throughout the county, Proposition Z, is receiving more than the minimum support needed for passage as counts Tuesday night continue. Republican Steve Danon is holding onto an early lead over Dave Roberts in the District 3 county Board of Supervisors race as more ballots are tallied. But with just 26.2 percent of precincts reporting, Danon's lead is slighly smaller than the night's earliest indications. Democratic Councilwoman Sherri Lightner has a nearly 5 percent lead over Republican businessman Ray Ellis in the race for San Diego’s first district City Council seat, according to the San Diego Registrar of Voters’ count of mail-in and early-vote ballots. Early returns show South County voters overwhelmingly in support of two school bond measures in Chula Vista, with Proposition E passing in the Chula Vista Elementary School District 64.05 percent to 44.08 percent with 33.9 percent precincts reporting and Proposition Y passing in the South Bay Union School District with 71.43 percent support and 9.7 percent of precincts in. On the eve of Election Day, suddenly folks on both sides of the political spectrum pick up the same talking point. Putting a period on their respective mayoral campaigns, Democratic Rep. Bob Filner and Republican Councilman Carl DeMaio held events Monday with some of their highest profile endorsers and made closing arguments that reflected their overall campaign narratives. East County voters will be asked to support or oppose five school construction bond measures in the Nov. 6 General Election. Eleven construction school bond propositions are on the Nov. 6 General Election ballot -- the most in the last 10 years. Four years ago, 68.71 percent of city of San Diego voters chose to increase their property taxes with the passing of the $2.1 billion general obligation bond measure Proposition S.
Making his final push to become San Diego’s next mayor, Rep. Bob Filner announced Wednesday the race’s most noteworthy endorsement yet: Bill Clinton. With an open seat on the county Board of Supervisors for the first time in years, and fundraising totals between the two candidates exceeding $830,000, the stakes are high in the District 3 race between Steve Danon, most recently the chief of staff to North County Congressman Brian Bilbray, and Solana Beach Deputy Mayor Dave Roberts. In a not-so-subtle response to his opponent’s recent attacks on his temperament, San Diego mayoral candidate Rep. Bob Filner held a press conference Tuesday so veteran groups could testify for his work on their behalf. Just a week before Election Day and three weeks after voters received mail-in ballots, District Attorney Bonnie Dumanis has endorsed Councilman Carl DeMaio over Rep. Bob Filner in the race to be San Diego’s next mayor. There are 11 school construction bond measures on the Nov. 6 general election ballot around the county and South Bay residents have two of them -- propositions E and Y.
Rep. Bob Filner is now calling for the resignation of San Diego U.S. Attorney Laura Duffy due to her involvement in the San Diego mayoral race. Regardless of who wins the November election, San Diego’s next mayor has promised to use an obscure immigration program to attract foreign investment as a means of spurring the local economy. In town to make the case for his education-focused tax hike, Gov. Jerry Brown Tuesday also announced his endorsement of fellow Democrat Rep. Bob Filner’s mayoral campaign. With highly contested national, state and local elections coming to a head in a mere two weeks, some of the masterminds behind these races took a night off the campaign trail to discuss the role of media in deciding elections, and how they as communications directors and campaign consultants use the media to their advantage. Assorted representatives from the region’s defense industry, including the Port of San Diego Ship Repair Association, endorsed Republican Councilman Carl DeMaio’s mayoral campaign Friday, pointing to his experience in small business and commitment to reducing regulatory burdens as their reasoning. A group of retired judges and attorneys in San Diego are drawing attention to what they say is a critical judicial race on the November ballot in San Diego County, and are urging voters to learn about the candidates and vote. City Council President Tony Young has chosen his side in San Diego’s mayoral race. San Diego City Councilman Carl DeMaio held a press conference Thursday to criticize his opponent in the mayor's race, Rep. Bob Filner, for trips he took in Congress that were paid for by special interests. There’s a large tax increase ballot measure facing San Diego voters on Election Day, and San Diego City Councilman Carl DeMaio doesn’t have anything to say about it. Rep. Bob Filner nabbed the endorsement of the fifth and final Board of Education member Wednesday, giving him the support of the entire board in his bid for San Diego mayor. Rep. Bob Filner now has a veritable stranglehold on public safety-related endorsements in his bid to become San Diego’s next mayor. In the San Diego mayoral primary, one of a handful of attacks by Councilman Carl DeMaio's campaign used against independent Assemblyman Nathan Fletcher was a repeated appeal to the number of votes Fletcher had missed in Sacramento. San Diego mayoral candidates Councilman Carl DeMaio and Rep. Bob Filner met Wednesday for a debate focused on public safety, an issue that hasn’t been a main talking point for either candidate’s campaign. Relative to cities of its size, San Diego is a safe place. Violent crime is low compared to virtually any other large city in America. Democratic mayoral candidate Rep. Bob Filner has made expanding the San Diego Port District the centerpiece of his economic platform, but the Port took center stage in the campaign last week for a different reason. In becoming the most well-known figure to cross party lines in the San Diego mayoral campaign, noted Democrat Irwin Jacobs on Thursday threw his support behind Republican City Councilman Carl DeMaio. Rep. Bob Filner challenged Councilman Carl DeMaio Wednesday to explain his interactions with UT-San Diego ownership over its downtown waterfront development plan. Cats and dogs are taking up residence in San Diego. Mayor Jerry Sanders endorsed Councilman Carl DeMaio Tuesday as his successor over Rep. Bob Filner. In a tandem of business-related announcements, the DeMaio campaign this week announced it had secured the endorsement of the nascent, nonpartisan political group, Movement to the Middle. Port Commissioner Scott Peters won the endorsement of independent Assemblyman Nathan Fletcher on Tuesday, boosting his campaign to unseat Rep. Brian Bilbray in the 52nd Congressional District. San Diego City Council President Tony Young released Friday a proposal to further define the balance of powers between the City Council and mayor. Councilman Carl DeMaio released five years of personal tax returns Monday, revealing his $2.5 million profit from his 2007 agreement to sell the two companies he founded. Republican San Diego City Attorney Jan Goldsmith, who has publicly supported the voter-approved pension reform measure Proposition B championed by Republican Councilman Carl DeMaio, endorsed DeMaio’s mayoral campaign Thursday. Congressman and San Diego mayoral candidate Bob Filner released Thursday an education plan directed at increasing the city’s involvement in the lives of school-aged children and their families during non-school hours. Within an hour-and-a-half of each other, Rep. Brian Bilbray and his challenger in the race to represent the 52nd District, Scott Peters, announced Thursday competing endorsements. San Diego’s mayoral candidates have a day off Thursday from debating each other. Councilman Carl DeMaio continued trying to rebrand himself as a moderate and Congressman Bob Filner emphasized his newfound pledge to implement Proposition B during a San Diego mayoral debate Tuesday, marking the start of the race’s push to November. During a recent press conference, mayoral hopeful Carl DeMaio assembled four members of the next City Council as a display of solidarity to uphold the voter-approved pension reform initiative Proposition B.
San Diego City Councilman and Republican mayoral candidate Carl DeMaio this week led a cadre of elected officials and business leaders to Mexicali and Tijuana during what his campaign described as a two-day jobs tour. In its next fiscal budget, the city of San Diego is going to face an estimated $8 million increase in its annual pension fund payment. Supporters of Councilman Carl DeMaio’s mayoral campaign were greeted Wednesday by a fundraising letter that also broke some news: former San Diego Mayor and California Gov. Pete Wilson now supports DeMaio, too. San Diego’s mayoral race had been on pause for most of the summer. After advancing through the June primary, Democratic Congressman Bob Filner and Republican Councilman Carl DeMaio slowed down their campaigns, seemingly preparing to get back on the trail after Labor Day. San Diego City Councilman and mayoral candidate Carl DeMaio announced Thursday he had sufficient City Council support to ensure Proposition B’s five-year pensionable pay freeze would be enacted in full. He’s nearly half right. Within the multifamily housing industry, affordable housing advocates and property owners don’t always share legislative priorities. Earlier this month, those differences spilled into the San Diego mayoral race. The San Diego County Apartment Association board of directors unanimously endorsed City Councilmember Carl DeMaio for mayor of San Diego. During a debate ostensibly relating to building-industry issues, San Diego’s mayoral candidates ensured Monday’s dust-up over weekend vandalism to Balboa Park isn’t going anywhere, at least for another day. It may take at least another week before Balboa Park’s century-old lily pond is back to normal after it and its surrounding gardens were left littered and trampled over the weekend. With City Heights’ Swan Canyon as a backdrop, San Diego City Councilman and mayoral candidate Carl DeMaio announced Monday his commitment to preserving over 10,000 acres of canyons. Council President Tony Young and Councilman Carl DeMaio appeared together Wednesday to highlight educational disparities between the city’s eight council districts. Mayoral candidate Carl DeMaio won the support of the Port Tenants Association for his detailed plans to improve San Diego and create jobs in the region. San Diego mayoral candidate Bob Filner will retain veteran political consultant Tom Shepard and his firm, Tom Shepard & Associates, to run his campaign. San Diego Superior Court Judge Luis Vargas on Tuesday denied a state agency’s request to halt Proposition B, the city of San Diego's pension reform measure. San Diego’s largest Realtors association has thrown its support behind Councilman Carl DeMaio’s mayoral campaign. A California court of appeals overturned Tuesday a trial court ruling that halted a legal challenge to Proposition B prior to the primary election, when the pension reform measure won overwhelming voter approval. It's taken an additional two weeks of counting, but it looks like Ramona attorney Gary Kreep has won a seat on the San Diego Superior Court bench. Councilman and mayoral candidate Carl DeMaio in a debate last week outlined a role in his administration for the San Diego City Council’s District 1 incumbent, Democrat Sherri Lightner. Deputy district attorney Garland Peed widened his lead over Ramona attorney Gary Kreep in their race for a San Diego Superior Court judicial seat. Two days after Proposition B won overwhelming voter approval, San Diego City Attorney Jan Goldsmith petitioned the California Courts of Appeal to immediately rule on all five lawsuits against the measure so the city can implement the pension reform plan right away. Deputy district attorney Garland Peed again has pulled ahead in his race for a San Diego County Superior Court judicial seat. Officials from San Diego County and Hewlett-Packard (NYSE: HPQ) are investigating what appears to have been a deliberate attempt to breach the county's main public-facing website during the election Tuesday night. When Councilman Carl DeMaio and Rep. Bob Filner meet in a November runoff to be San Diego’s next mayor, they’ll do so facing a fundamentally different electorate than the one they progressed through earlier this week. Assemblyman Nathan Fletcher’s decision to leave the Republican Party to run as an independent drove much of the coverage and conversation of San Diego’s mayoral primary. Nonunion contractors and those opposing collective bargaining agreements on construction projects garnered a win in Tuesday’s primary election, as project labor agreements are now banned on city of San Diego capital improvement projects. As the race for San Diego City Council District 7 could be over, the fight for District 1 will go on, as incumbent Sherri Lightner held on Tuesday to force a runoff against Ray Ellis, who for much of the night appeared within striking distance of an outright 50 percent-plus-one win. The judicial races in Tuesday's primary resulted in an outright win, a runoff and a toss-up. San Diego residents will choose between Republican City Councilman Carl DeMaio and Democratic Congressman Bob Filner in November on who they want as the next mayor. Democratic State Sen. Juan Vargas will face Republican Michael Crimmins in a runoff election in November for the District 51 congressional seat. San Diego could be facing lawsuits by labor unions after propositions A and B both passed in the city of San Diego. Proposition B, a measure that would reform for San Diego city employees the pension plans they would receive, is winning the approval of city voters as it has garnered support from 57.6 percent of voters with 50.2 percent of the precincts reporting. Proposition A, which would prohibit the city of San Diego from requiring contractors to use project labor agreements, PLAs, for most city construction projects, is passing with 58.8 percent approval and 50.2 percent of precincts reporting. With more than half of ballots counted, it appears that two San Diego City Council District seats, though by law non-partisan, may have a chance of switching party representation. Republican Steve Danon and Democrat Dave Roberts are in a tight race for the District 3 seat on the San Diego County Board of Supervisors, with just a fraction of a percentage point separating the two in perhaps the only supervisorial race that couldn’t be easily predicted Tuesday. State Sen. Juan Vargas has a commanding lead after early returns to replace Congressman Bob Filner in the 51st congressional district and is within striking distance of winning the seat outright. UPDATE: 10:57 PM -- El Cajon attorney Jim Miller, who lost out on a judicial seat by less than three percentage points in 2010, appears headed to another runoff. San Diego’s political pundits will once again take in election results at Golden Hall Tuesday night, while the four mayoral candidates have set up election night parties of their own around downtown. The San Diego Police Officers Association released an attack ad against City Councilman Carl DeMaio’s mayoral campaign alleging the anti-union legislator voted against providing survivor benefits to the widows of slain police officers. If where the money has flowed the past six months is any indicator of likely voter leanings, a race for a seat on the San Diego County Board of Supervisors could turn out as no other has in many years. City of San Diego residents on June 5 will decide on Proposition A, a ballot measure that seeks to prohibit the city from requiring project labor agreements -- or PLAs -- on city construction projects. Republican-turned-independent New York City Mayor Michael Bloomberg has endorsed Assemblyman Nathan Fletcher, San Diego’s Republican-turned-independent mayoral candidate. San Diego County this year will definitely end up with a new member of its Congressional delegation. If things break a certain way, it could end up with two new members. New York City Mayor Michael Bloomberg is endorsing California Assemblyman Nathan Fletcher's independent bid for San Diego mayor. Not all political attack ads are created equal. Presumptive Republican presidential nominee Mitt Romney and Sen. John McCain spent Memorial Day in San Diego, honoring at Balboa Park’s Veterans Museum and Memorial the memories of military members who died in service. When it comes to forwarding a plan for a new Chargers stadium, San Diego’s four mayoral candidates are happy to talk, but reluctant to get too specific. Congressman and mayoral candidate Bob Filner spoke to a veteran group Saturday morning, brandishing his victories on their behalf during his congressional career and pledging to extend those efforts to City Hall if elected mayor. Rep. Bob Filner has struggled to raise money for his mayoral campaign. In September, San Diego City Councilman and mayoral candidate Carl DeMaio unveiled the street repair plan he would pursue if he elected. Thursday he announced plans to put that repair proposal before voters on the November ballot. Congressman Bob Filner has struggled to raise money for his mayoral campaign. That’s why, until this week, he was the only candidate without ads running on local TV. The youngest candidates in San Diego’s mayoral race continued their fundraising success during the most recent contribution period. Four candidates vying for spots on the San Diego Superior Court bench during next month's primary election have been given "well qualified" ratings by the San Diego County Bar Association. In an early-morning Friday forum, San Diego’s four main mayoral candidates outlined their platforms and campaign messages for a group of downtown business people atop Symphony Towers. San Diego City Councilman Carl DeMaio’s mayoral campaign over the last few weeks has relentlessly criticized Assemblyman Nathan Fletcher’s 70 percent absentee rate this year for votes in Sacramento. Assemblyman and San Diego mayoral candidate Nathan Fletcher has waded into the waters occupied by Congressman Bob Filner, releasing a plan to expand the Port of San Diego and the region’s maritime economy. Assemblyman and San Diego mayoral candidate Nathan Fletcher will host Friday an assembly hearing on job creation and hiring featuring a panel of high-profile business leaders. Three weeks from San Diego’s mayoral primary, Councilman Carl DeMaio is in a strong position to advance to a November runoff, according to a poll conducted by SurveyUSA and released Monday by 10News. Symbolically flanked to his left and right by enlarged attack ads sent out by his Democratic and Republican mayoral opponents, Assemblyman Nathan Fletcher at a press conference this week said the other San Diego mayoral candidates were making his point that he’s the only choice who isn’t driven by ideological rigidity. San Diego City Councilman and mayoral candidate Carl DeMaio unleashed a new prop Tuesday. San Diego City Councilman Carl DeMaio called a press conference Thursday to announce his plans to put an end to a controversial element of the city’s pension system. After District Attorney Bonnie Dumanis’ mayoral campaign spent the first two days of the week reaching out to female voters, Assemblyman Nathan Fletcher announced Wednesday his intention to form an advisory committee for his mayoral campaign. District Attorney Bonnie Dumanis would like to remind you that she is the only woman running for mayor. Congressman and San Diego mayoral candidate Bob Filner’s pension reform plan has arrived. The California Small Business Action Committee endorsed Thursday San Diego mayoral candidate and City Councilman Carl DeMaio. Inspired by mayoral candidate Nathan Fletcher, a group of San Diego business executives announced Wednesday they were dropping their party affiliation and forming a group based on political moderation. An informal, unscientific poll of Daily Transcript executive roundtable participants asked, "Who would you cast your vote for in the San Diego mayor's race?" The city could lose $158 million if voters approve Proposition A, and a decision on Proposition B will ultimately be decided in court, according to two prominent union leaders. In the San Diego mayoral campaign’s first televised debate, Councilman Carl DeMaio inaccurately alleged Assemblyman Nathan Fletcher was the subject of an ethics investigation, Congressman Bob Filner accused DeMaio of supporting a $1 billion tax increase and District Attorney Bonnie Dumanis demanded a look at Filner’s long-promised pension reform plan. After receiving the endorsement of Sacramento Mayor Kevin Johnson, mayoral candidate Nathan Fletcher on Wednesday used the occasion to unveil his energy plan for the city of San Diego. Councilman and mayoral candidate Carl DeMaio rolled out Wednesday his plan to reform departments and management policies at City Hall. The four major San Diego mayoral candidates are scheduled to appear at Thomas Jefferson School of Law this Friday from 11 a.m.-12:45 p.m. to speak about issues that affect the East Village community. Based on one public poll, Assemblyman Nathan Fletcher’s decision to drop his Republican affiliation and run for San Diego mayor as an independent has, if nothing else, addressed his name recognition problem. San Diego's tourism industry was a $7.5 billion boost to the economy last year, and three of the four major mayoral candidates each expressed their views on how to keep the engine fueled. The June 5 primary is still one month away, but the race for one judicial seat in San Diego is already getting contentious. San Diego City Councilman Carl DeMaio at a Thursday press conference challenged his mayoral opponent, Congressman Bob Filner, to a Lincoln-Douglas-style debate on pension reform. A week after becoming one of only two Republicans left in the mayoral primary, District Attorney Bonnie Dumanis used an education-based debate to strengthen her credentials as the school-reform candidate. Assemblyman Nathan Fletcher’s decision to drop his affiliation with the Republican Party in his bid to be San Diego’s next mayor generated no shortage of political reactions. With just more than two months before San Diego’s primary, State Assemblyman and mayoral candidate Nathan Fletcher has left the Republican Party and is now running as an independent. Mitt Romney, during a San Diego campaign stop, accused the Obama administration of crushing dreams through taxes and regulation, especially those imposed by the president’s health care overhaul. The four major candidates for San Diego’s June mayoral primary released their fundraising totals for the most recent period Thursday, strengthening the financial stories that have begun to dominate the race. An initiative to reform San Diego’s pension system seeking voter approval in June is projected to save $950 million over the next 30 years, according to a fiscal analysis by the city’s Independent Budget Analyst (IBA). Less than three months before the vote, the San Diego mayoral primary has come to be defined by continued sparring between the race’s young, up-and-coming Republicans. Mayoral candidate Nathan Fletcher announced Monday his “CPR Plus” plan, a series of pension reforms for non-union city staff that builds on the Comprehensive Pension Reform initiative seeking voter approval in June. San Diego City Councilmember and mayoral candidate Carl DeMaio accepted Thursday the endorsements of three major construction industry organizations. The two major San Diego mayoral candidates who didn't release campaign fundraising totals last week filed disclosures before Tuesday’s deadline. Two high profile San Diego mayoral candidates Thursday announced imposing fundraising totals from the most recent period. State Assemblyman and San Diego mayoral candidate Nathan Fletcher announced Tuesday that he has secured an endorsement from Padres broadcaster and former Marine Jerry Coleman. San Diego City Councilmember and mayoral candidate Carl DeMaio released the job creation plan he’s crafted over the last six months, continuing his efforts to reduce regulations facing San Diego businesses. Three of the four major candidates to be San Diego's next mayor took the stage Wednesday night at a forum hosted by the Urban Land Institute and the Burnham Moores Center for Real Estate. The San Diego Association of Lifeguards announced it has endorsed state Assemblyman Nathan Fletcher in his bid to become San Diego's next mayor. The Engineers and General Contractors Association announced it has endorsed City Councilman Carl DeMaio in his run for mayor of San Diego Tuesday. All four major San Diego mayoral candidates squared off in a debate for the first time Friday, answering pointed questions from members of the local media about their plans and policies. Candidates for San Diego's mayor traded jabs Thursday over competing initiatives to help military veterans find jobs. San Diego Mayor Jerry Sanders opened his final "State of the City" speech Wednesday with unusual flourish, showing a video of two children running through the city's streets to the sounds of Eminem's rap song, "Lose Yourself." The crowd assembled at Balboa Theatre whooped, cheered and applauded loudly during the video, but at least one audience member was not as impressed. State Assemblyman and mayoral candidate Nathan Fletcher summarized his plans to improve San Diego at the biotech company Gen-Probe on Tuesday, continuing his campaign's focus on technology companies as an answer to San Diego's economic woes. District Attorney Bonnie Dumanis made education a central issue of her campaign for San Diego mayor when she released a plan to reform the city's school district on Thursday. Congressman and San Diego mayoral candidate Bob Filner slammed his opponents' proposals to eliminate pensions for city employees, suggested public ownership of the San Diego Chargers and presented his stance the Occupy movement during a speech to the Greater San Diego Business Association Tuesday. The San Diego Municipal Employees Association, the largest labor organization representing City of San Diego employees, endorsed Congressman Bob Filner for mayor of San Diego Monday. State Assembyman and San Diego mayoral candidate Nathan Fletcher released a jobs plan for San Diego Thursday after outlining its main points during a mayoral forum Tuesday. Three of the four candidates for San Diego mayor gathered Tuesday morning at a forum sponsored by the San Diego Regional Economic Development Corp. to present their plans for creating jobs for San Diego's citizens. However, most of those citizens do not know what the candidates said. When it comes to supporting San Diego's mayoral candidates, the employees at a number of local businesses seem to think alike. Twenty-four businesses in the county saw four or more of their employees donate to the same candidate in next year's mayoral election. San Diego Mayor Jerry Sanders joined City Councilmember Kevin Faulconer in endorsing District Attorney Bonnie Dumanis in next year's mayoral race. Nov. 6 (Bloomberg) -- Barack Obama, the post-partisan candidate of hope who became the first black U.S. president, won re-election today by overcoming four years of economic discontent with a mix of political populism and electoral math. WASHINGTON (AP) -- President Barack Obama captured hard-fought New Hampshire Tuesday night in a tense duel for the White House with Mitt Romney, claiming the first of the pivotal battleground states in a close election shadowed by a weak economy and high unemployment. City Attorney Jan Goldsmith four years ago walked into an elected office being paid an unusual amount of attention. Carl DeMaio is a businessman-turned-civic watchdog who is running for San Diego Mayor. Bob Filner received a Ph.D. in the history of Science from Cornell University in 1969. Shortly after, he moved to San Diego and it has been his home for over four decades. Nov. 7, 2012 -- Councilman Carl DeMaio held a press conference Wednesday to concede defeat in his bid to become mayor of San Diego after a tight contest against Democratic Rep. Bob Filner. Nov. 6, 2012 -- The Daily Transcript checks in with voters on Election Day 2012.